A a few years ago I had already started a blog previous to this, but found the site restrictive and hard to use. To save myself re writing old history I will re post from that site onto here to keep it altogether. 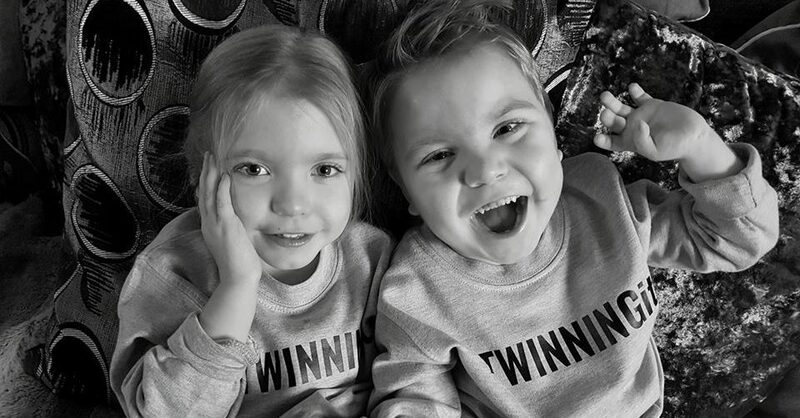 The twins were born at 28weeks, 12 whole weeks early. They were born on the day of the London Olympic opening ceremony. Florence like her name meaning is “Flourishing” and middle name Ella means “light “is and my little ray of light in some dark times. Owen like his name meaning “little warrior” and middle name Harvey means “battle worthy” has had and continues to have a few battles to fight along the way. I think it would be fair to say that Owen is my main inspiration for the Blog. Most of my Blog will no doubt be centred around Owen and his journey, but also will be about the impact it has on the rest of the family. I don’t want this blog to be all doom and gloom, as my house is hardly ever gloomy… Its mainly Crazy!! I hope to portray some of the “craziness and fun” along with the serious stuff. Why write a Blog?? I hope writing this will at least help me put things in some sort of order in my head, maybe like a sort of therapy? I am not really too sure, but I am forever reading other peoples Blogs and I enjoy writing so thought I would at least give it a go. If it so happens anyone comes across this blog then fantastic… I hope you enjoy it and feel free to add your own input. I am not even sure how often I will Blog, so I guess I will just see what happens. P.S Please understand this is my first ever blog, I have no clue what I am doing, I am highly sleep deprived most of the time so basically I apologize in advance for lack of grammar, spelling mistakes and generally not making any sense at times.